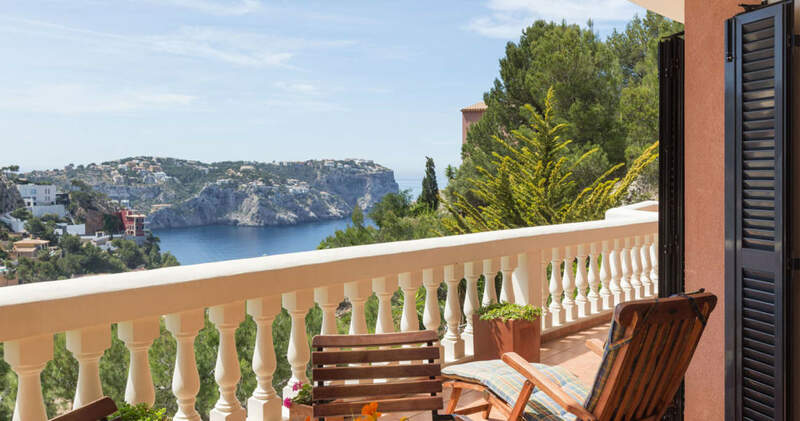 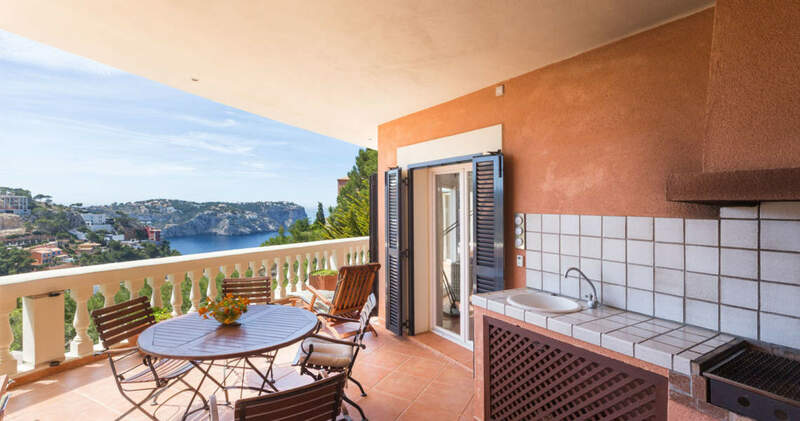 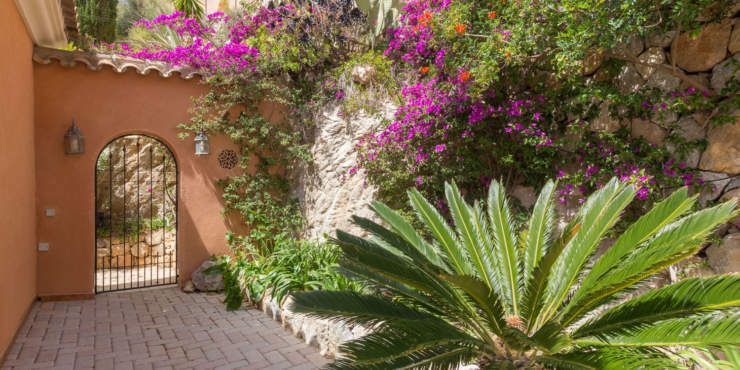 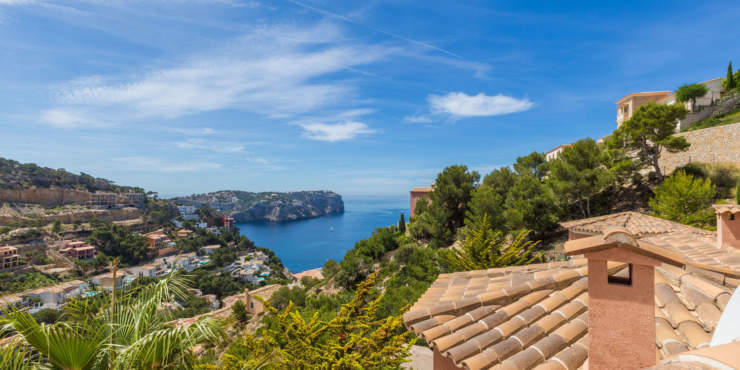 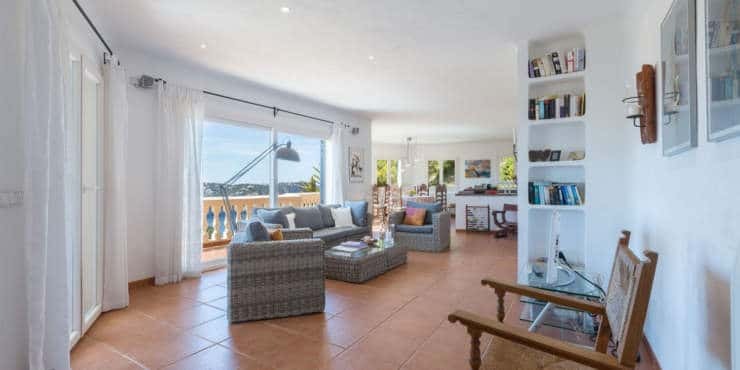 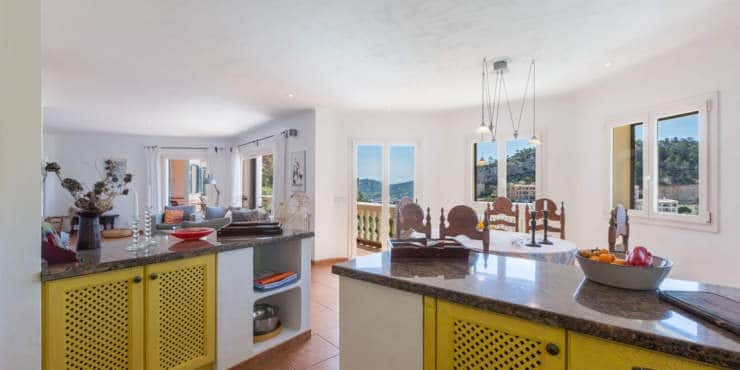 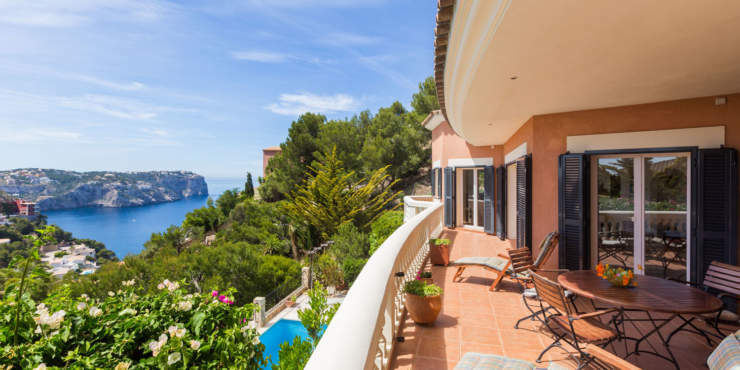 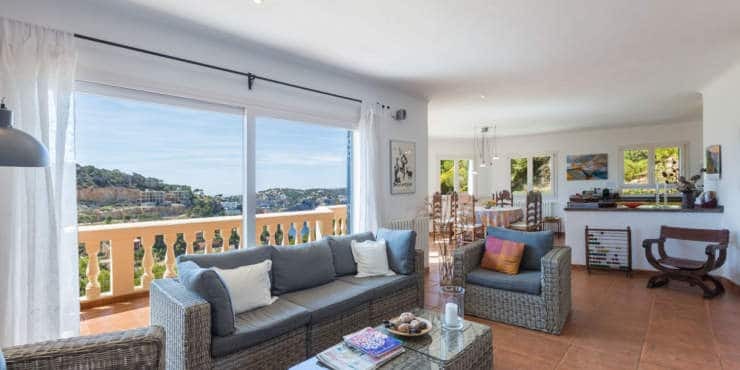 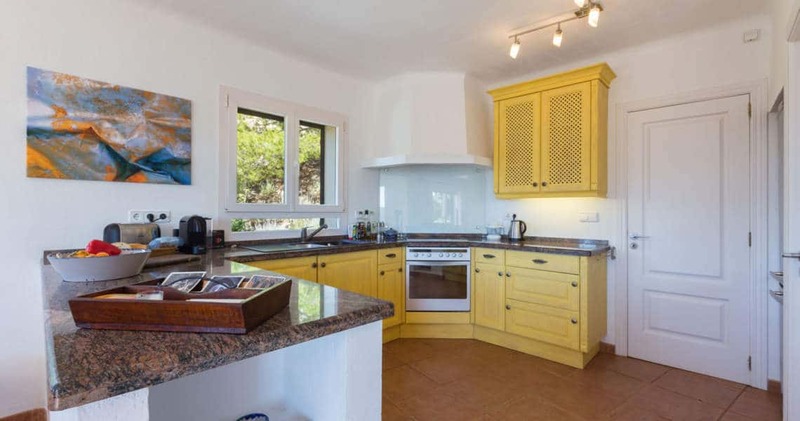 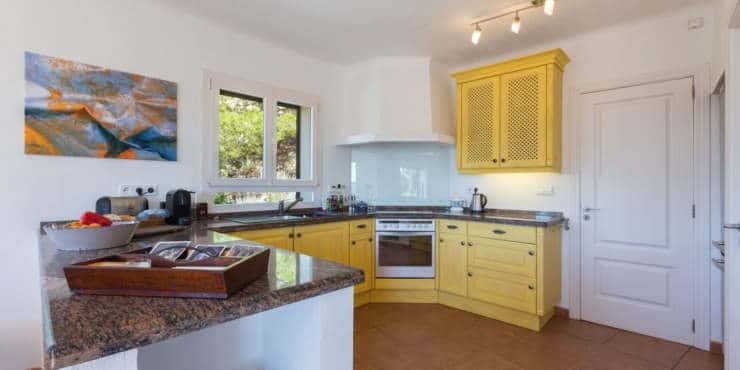 This country house style, sea view villa sits on a southeast facing hillside plot in the popular residential area of Cala Moragues, in the southwest of the island. 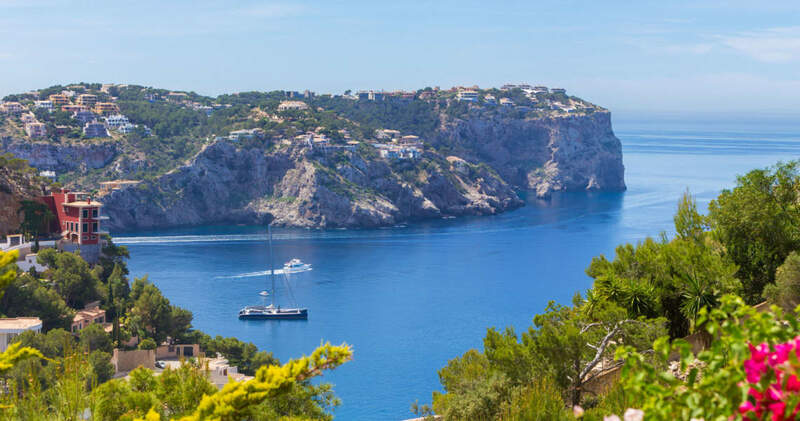 Picturesque Pto. 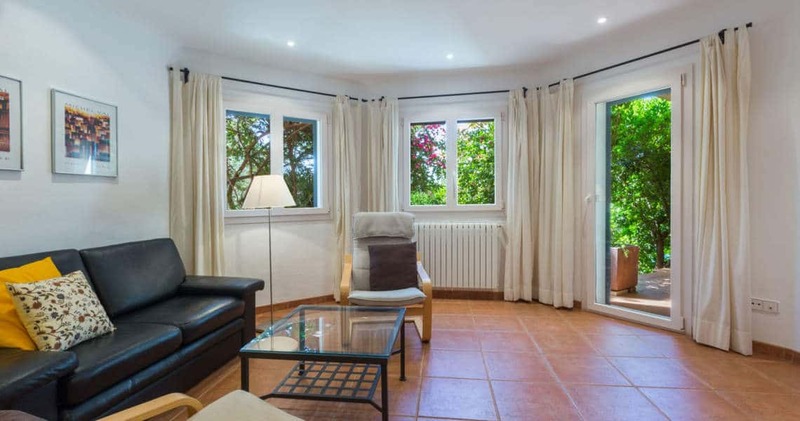 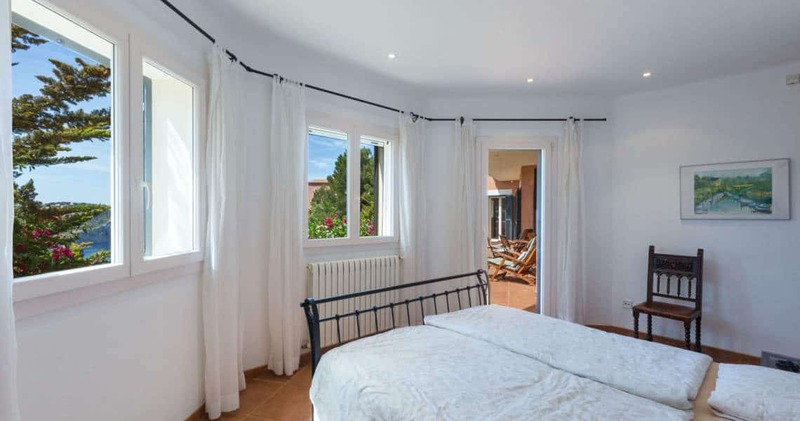 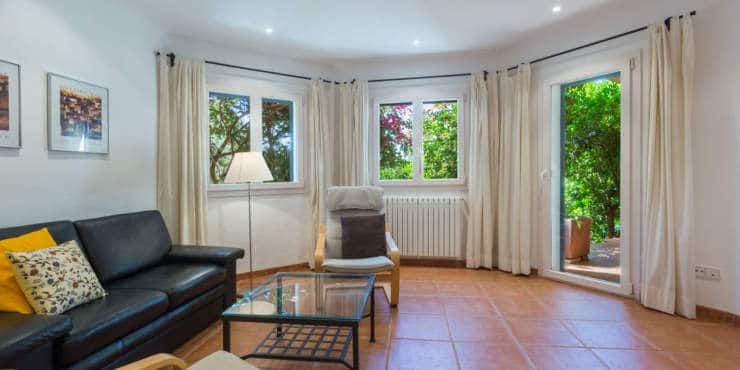 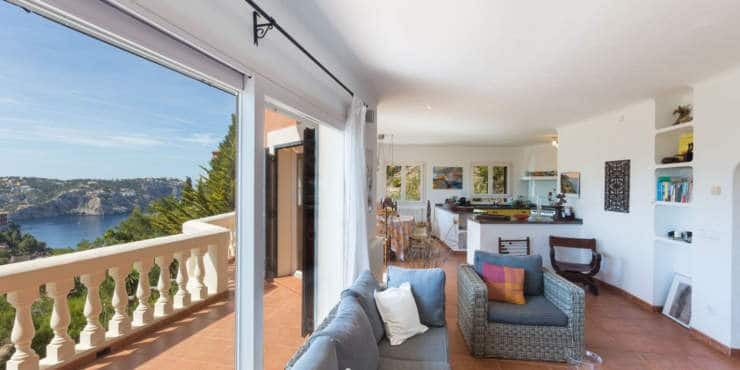 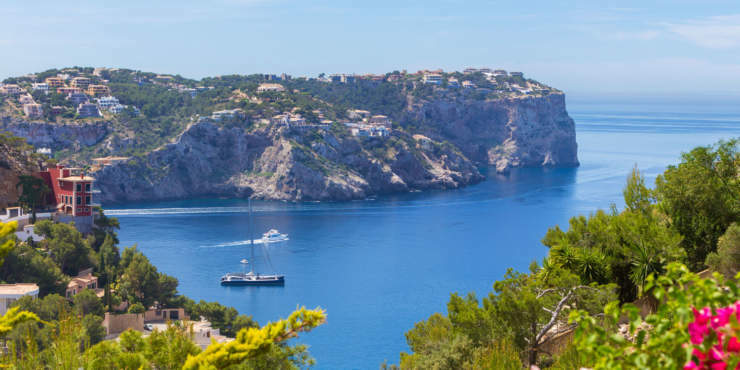 Andratx with its numerous bars, restaurants and shopping facilities, as well as the golf course of Camp de Mar, are just a short distance away. 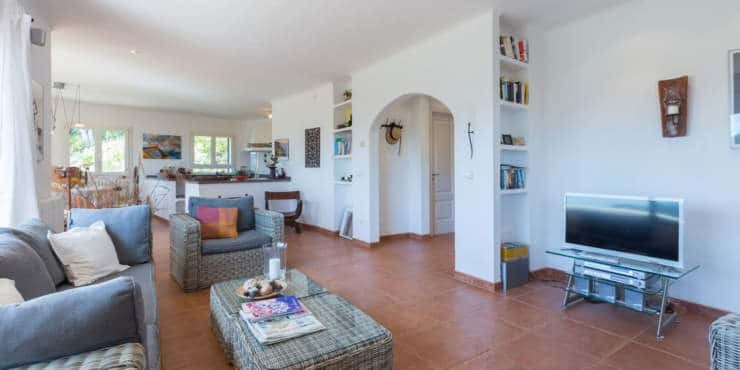 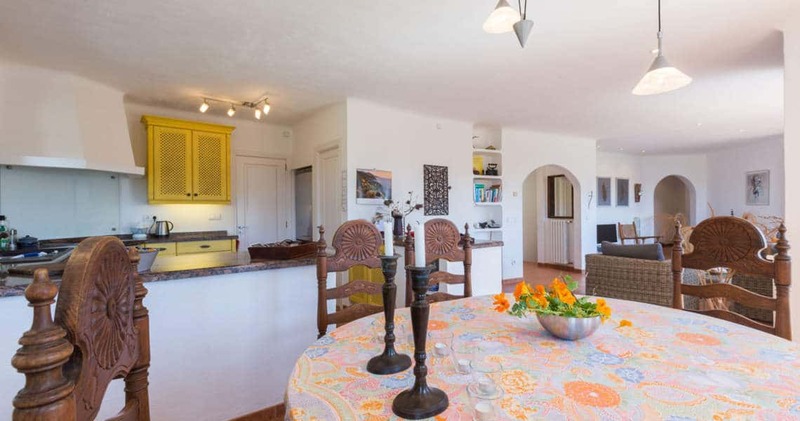 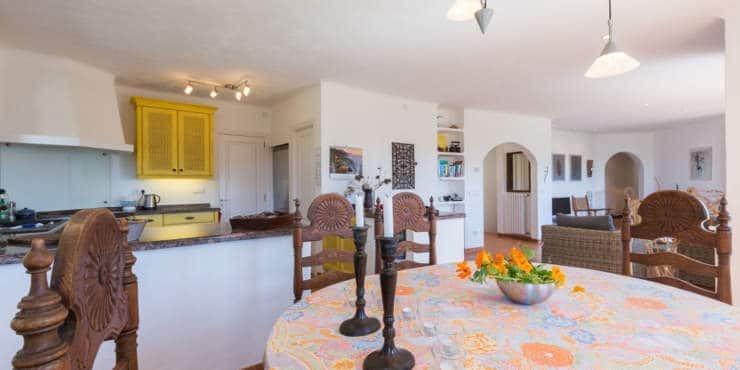 The entrance level, on the top floor of the spacious, two storey villa, comprises a light-flooded living/dining room with an open kitchen, a guest toilet, and a study as well as a master en suite bedroom. 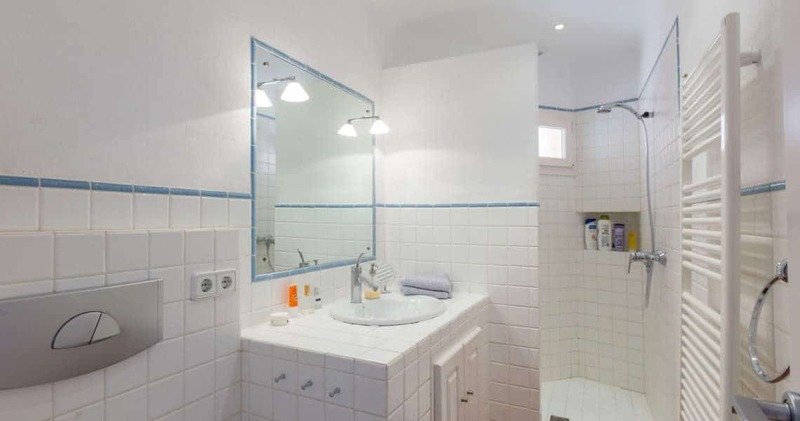 On the pool level are a further two bedrooms with a shared bathroom. 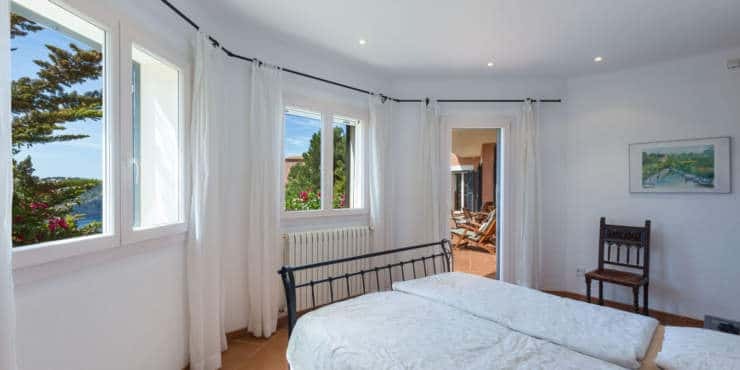 Another room on the ground floor, which is presently undeveloped, can easily be transformed into an additional en suite bedroom. 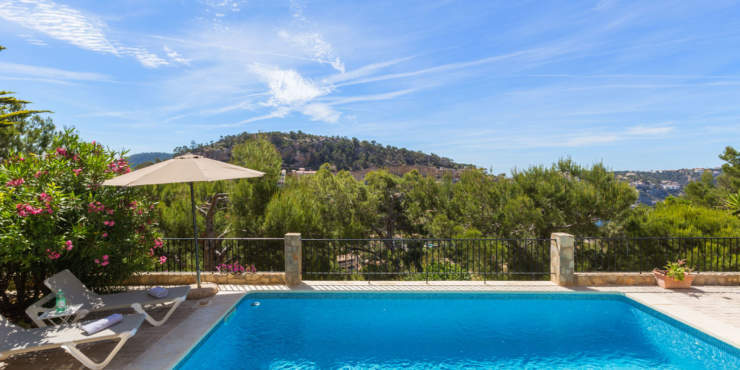 Outside spacious open and covered terraces surround the house and a lovely swimming pool, a barbecue area and a garage complete the offer. 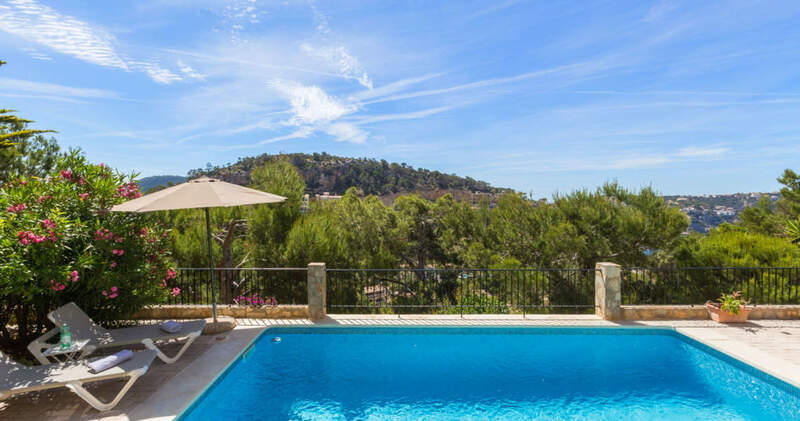 The villa has a valid holiday rental licence.